It took a while but we have MAPLE WHISKEY for sale RIGHT NOW. 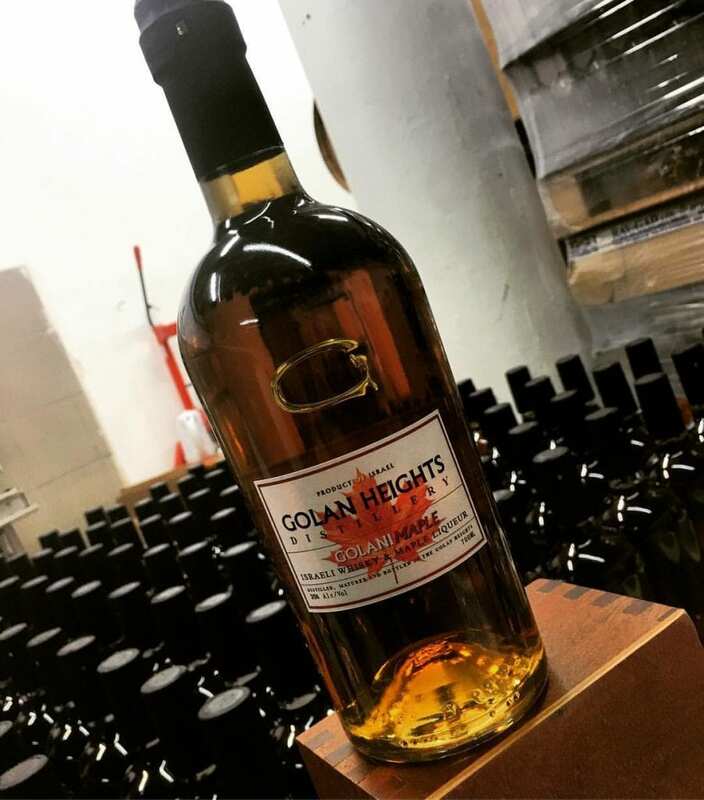 We are emphasizing the “right now”” part because there are exactly 120 bottles in existence in the world and David at the Golan Heights Distillery (GHD) has told me that he has already sold most of them. We suggest you move fast otherwise you’ll have to wait for the next batch. The Whiskey is based on a two grain wheat and barley Golani whiskey that has had our real grade B maple syrup added to it to give it a bit of sweetness. The maple flavor is subtle but noticeable. Each bottle is 700 mL and costs 140 nis. We are working on getting delivery methods sorted out but for now we are going to try to use our pre-existing tremper/post office combination. The trempers are free, the post office is 10 nis. We will have to play it by ear and see how this goes.